After struggling with my own health issues for years (Lyme disease, migraines and an autoimmune disease callled Hashimoto’s thyroiditis), I learned how to heal my body with food and dietary changes, essential oils, natural cures and yoga. Now I am inspired to help others regain their health and vitality by getting back to nature for healing and overall wellness. I work with athletes looking to boost performance and recover faster to corporate executives looking to reduce stress, lose weight and increase energy. I also love supporting health-conscious mom’s in taking care of themselves and their families. I can help you choose the doTerra Essential Oil Starter Kit & Supplements that best suits you and your families wellness goals! 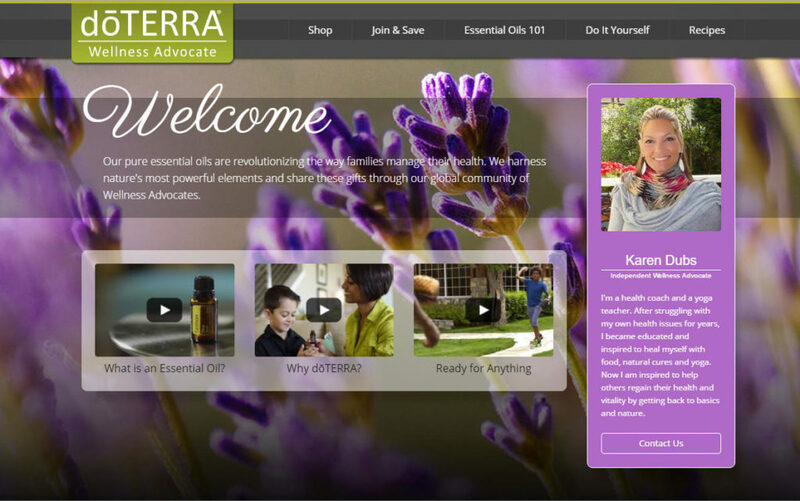 Check out my doTerra store or email me to set up a free 30 minute health coaching session.